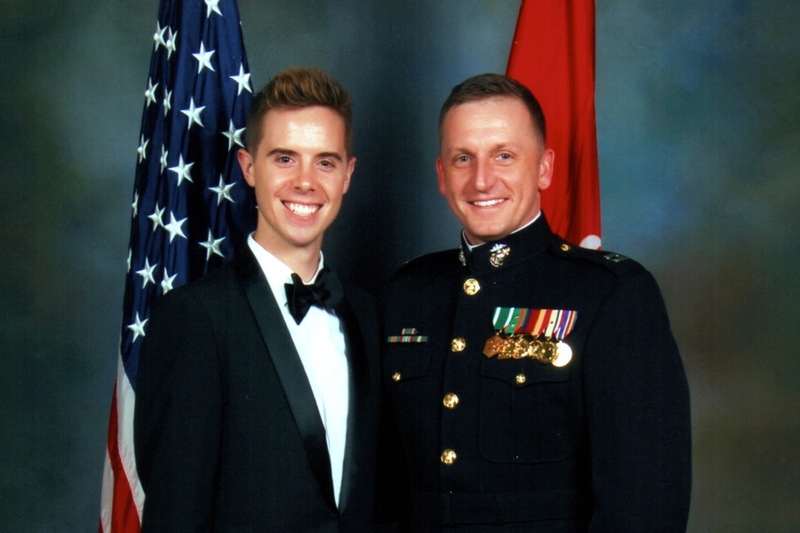 Our first USMC Birthday Ball together, 2012. My previous post included all the information I had to date on how I ended up on a permanent assignment without my husband Ben. I know that it is being used as a reference for people who want to help us, including people at the Pentagon who are working on this issue. A week later, I have no news except that the issue is still being worked on. As of this morning, it’s been 16 days since Ben had to leave Okinawa. His 90-day passport stamp was due to expire and he needed to leave to avoid violating Japanese immigration laws. Whenever opponents of open gay service in the military are asked why they favor “Don’t Ask, Don’t Tell” (DADT) (or an outright ban on gays serving in the military), they respond that sexuality has no place in the military, and they couldn’t be more wrong. As long as there are humans serving in the military, sexuality will have a place there as well. Even a cursory glance at Maslow’s hierarchy of needs shows that sexuality plays a role in the human condition. It plays a role in every level of this pyramid, yet opponents of gay service ignore the role sexuality plays in all of our lives, starting with their own. I have spent most of my career being single. Anyone who has been in a relationship with a Marine knows it’s difficult. Long hours, short-notice trips, weeks in the field, months on deployment, weekends/holidays/birthdays missed–these affect all of us. 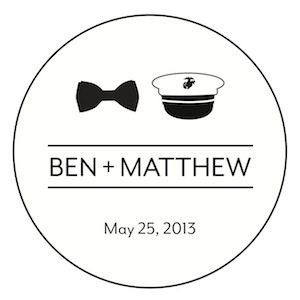 DADT just added another complex layer to an already difficult endeavor. For someone to be in a relationship with me, he would be to required accept the fact that I was going to lie about who he was if I mentioned him at all. When asked by commanders and coworkers if I was married, I’d say no even if we lived together. It is the epitome of a double life: on the one hand there is a special person who makes the unique challenges of your life remotely bearable, while at the same time you’re denying to anyone interested that he even exists. If you do let down long enough to go out in public together, your head is on a swivel, always looking out for anyone who may see you doing something that could get you in trouble. Even going to the gym could be a challenge–you want to spend the time together as a couple, but if there are Marines at the same gym, you’re just “workout buddies” and it becomes even worse: he has to stand there while you deny your relationship in front of his face. How many times can you do that before you just give up trying? I have no idea what that must have felt like for the men I dated. I do know that it killed a piece of me every time I had to do it. We got a cab to the Manchester Grand Hyatt in San Diego and walked to the entrance. Standing there and looking around to see Marines throughout the lobby, we both thought, “What the hell are we doing here?” We looked at each other, took a deep breath, and stepped inside. We were careful from the very beginning not to be too close to each other. At one point, while the one of us who passed land navigation as a lieutenant in Quantico, VA managed to get lost on the way to the bathroom, our hands bumped and we quickly pulled them back. We made our way to the bar because the glass of wine and cocktail we had while getting ready weren’t taking the edge off as effectively as we’d hoped. A Marine I knew from work walked up and introduced his wife.